We left at 4:45 am Saturday morning and drove quite a ways into the mountains to an area known to have monster size Jackrabbits. 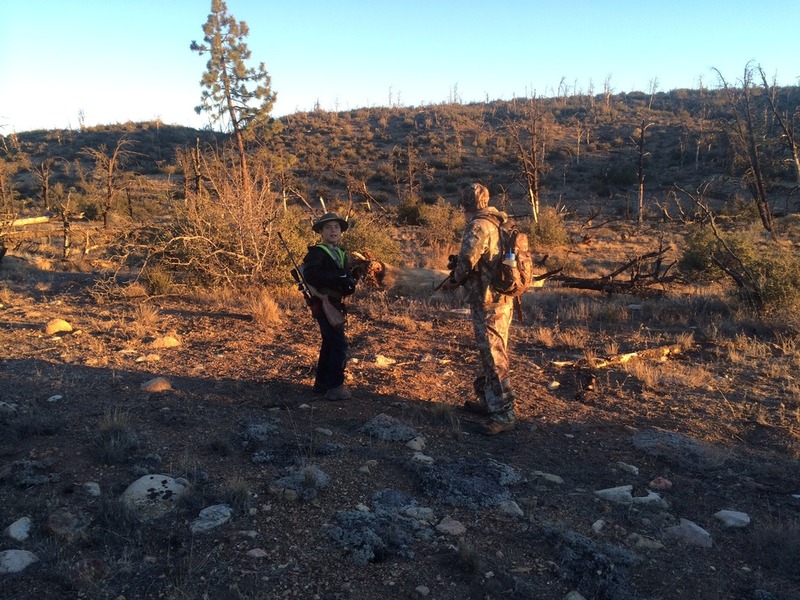 I had never been to the area so was very excited as well as getting to hunt with a newcomer to the sport. Seeing the excitement of a new hunter was well worth the trip just by itself and was pleased just in getting to take part. 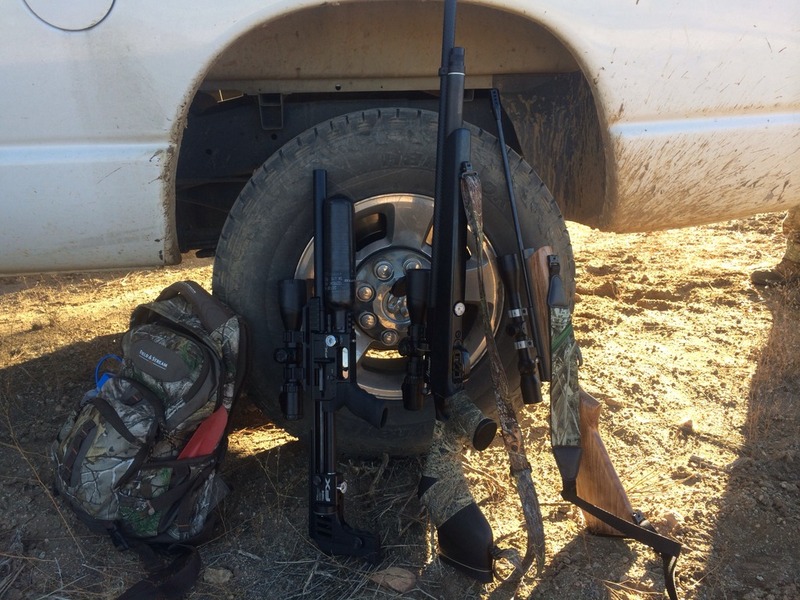 Tom had brought his .30 FX Impact and Nick was using a custom 22xx I had built along with myself and the .22 Marauder. We arrived at the area nearly running over a Jackrabbit as it made it’s way across the dirt fire road, very good sign so far. The time was about 6:45 am with the weather being very pleasant along with no wind. We walked for a bit with me staying behind to take some pics and get bearings on the area that to me looked very prime. 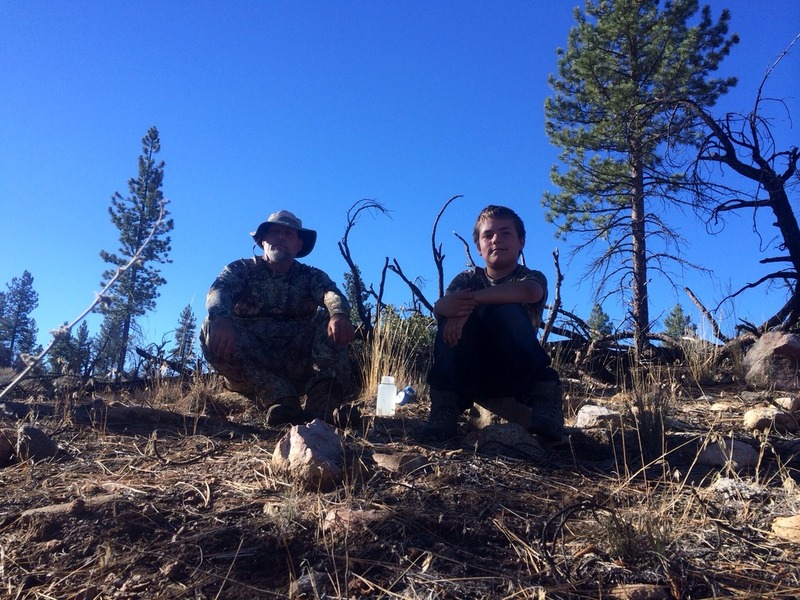 The area was near alpine level altitude with mostly Rolling hills and patches of dense bushy cover. 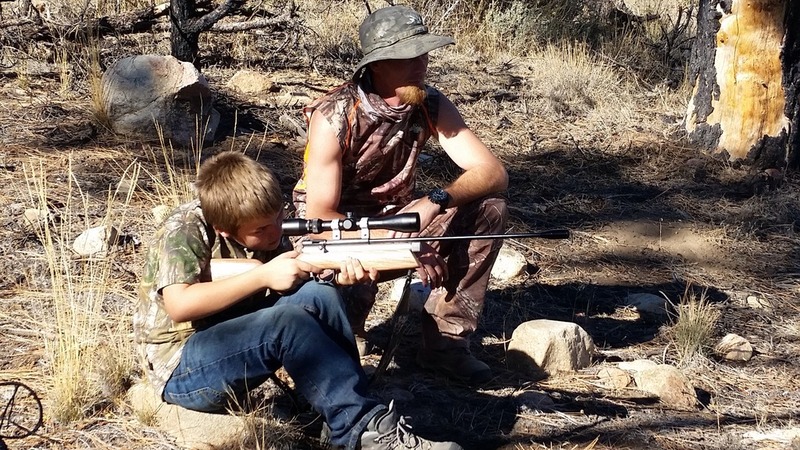 After about 20 min of walking Nick had spotted a Jackrabbit at 100 yards, those young eyes are very helpful. I decided to stalk the Jackrabbit leaving Tom and Nick to circle around where I planned to push it towards them. 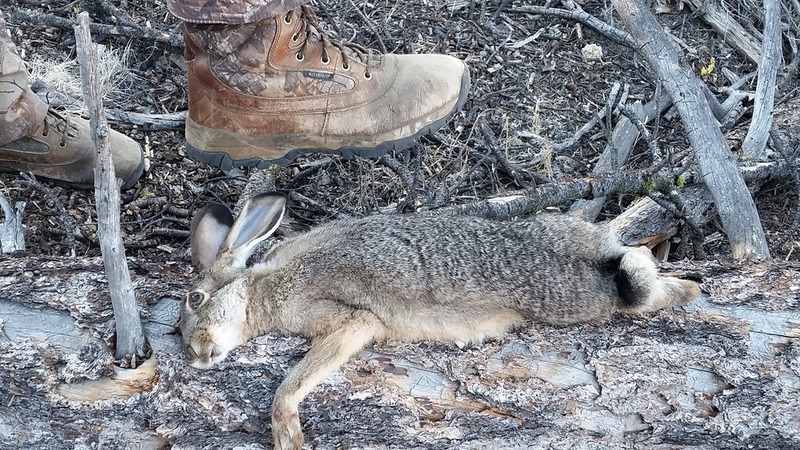 The plan had worked well and was able to get the Jackrabbit to run right into them leaving Tom with a good 30 yard head-shot that dropped him in his tracks instantly. Seeing Nick’s enthusiasm of witnessing his father’s humane kill was very cool. We all walked back to the truck and Tom instructed Nick on how to clean and process the Jackrabbit meat. 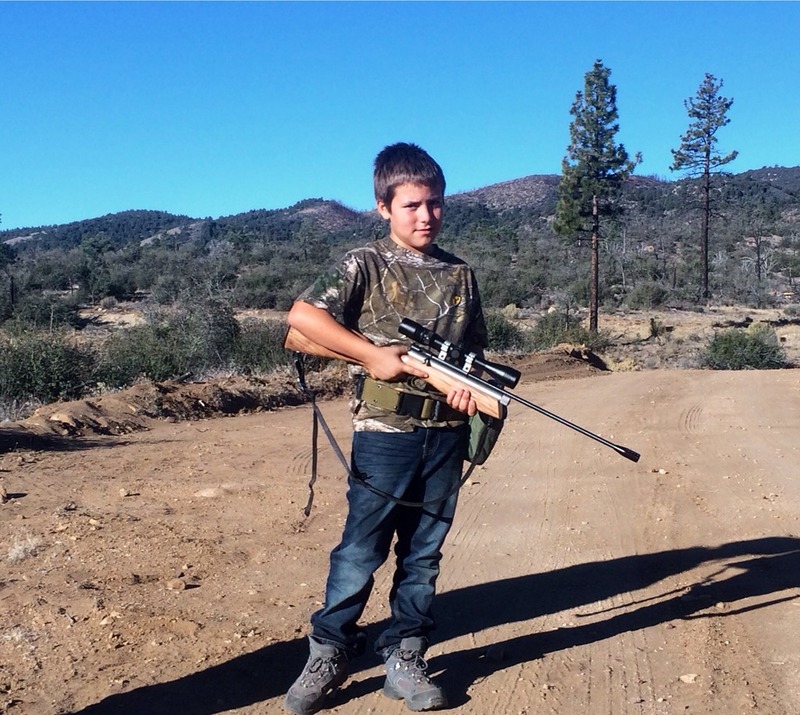 After all that we headed back out to a bare hillside looking down into a creek bed where we set up a can at 45 yards for Nick to practice his shots, that kid is a great marksman and surprised us both with his skill. 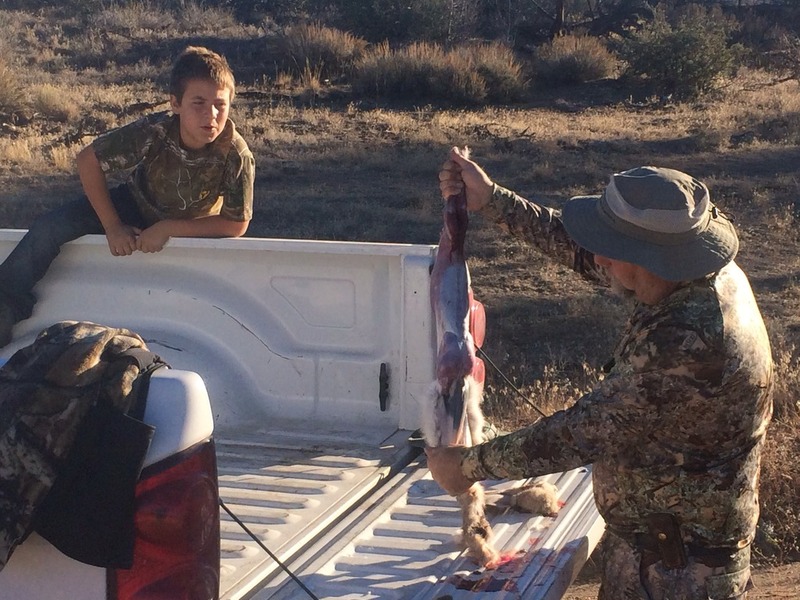 Tom has his hands full now with Nick getting the hunting bug and being so excited about getting more involved in our sport. 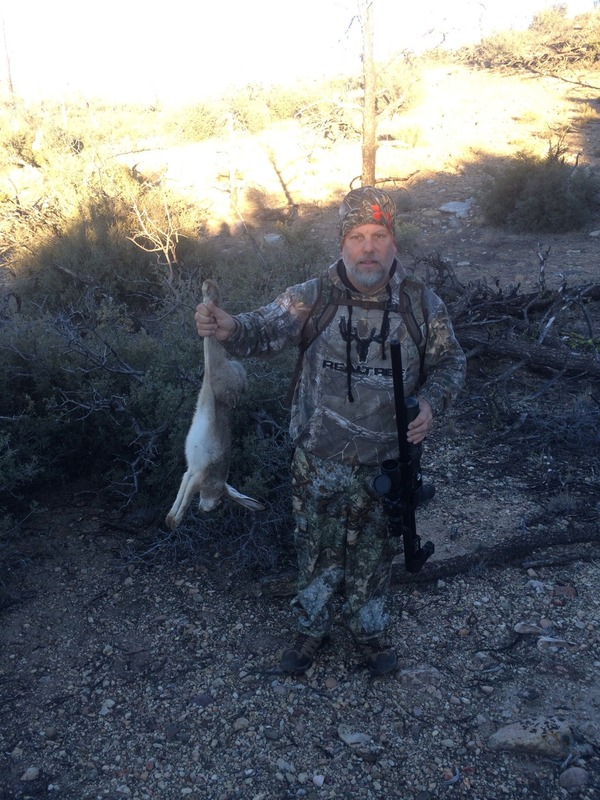 After 30 minutes of practice we set out a bit more while seeing a few Jackrabbits but none that offered much of a good shot for Nick or myself. It was nice to just be out hiking around on such a beautiful day but we decided to end our hunt to head down the mountain for lunch. The day was great fun for all of us and too a memory that will be left forever in the mind.